a glimpse of our life: Yogurt For Dessert? Yes! This post is sponsored by Yoplait Greek 100 Whips! We tried the brand new Yoplait Greek 100 Whips! yogurts for the first time this week, and they are delicious. With only 100 calories each, nine grams of protein, and eight flavor varieties, which would you try first? Fill a pretty clear glass or bowl with alternating layers of Yoplait Greek 100 Whips! yogurt and your choice of fruit. The choices are endless. My daughter and I prepared ours with two flavors: strawberry cheesecake and vanilla cupcake, and we used mandarin oranges as our fruit. 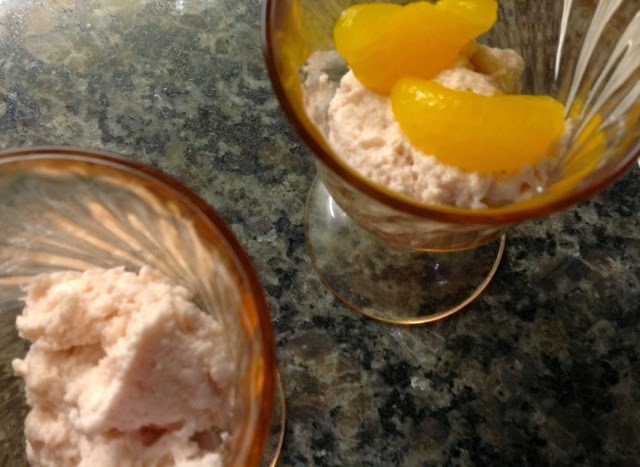 We emptied the can of oranges into a strainer a few minutes before using them which worked perfectly in this recipe, but juice stirred into the yogurt would also work if you would like a smooth layer in your parfait. Small pieces of angel food cake or pound cake would also taste delicious as an additional layer. My son chose to skip the fruit and add sprinkles to his yogurt. He wasn't previously a fan of Greek yogurt, but after tasting this he informed me that it wasn't yogurt, it was strawberry whipped cream. Alrighty then! I'm happy to have another healthy snack option that he likes. My daughter's favorite yogurt flavor is vanilla, and she enjoyed the vanilla cupcake flavor straight from the package for breakfast. Whips are even designed to be frozen! So these are a new alternative to ice cream. I have two containers in our freezer to try later. 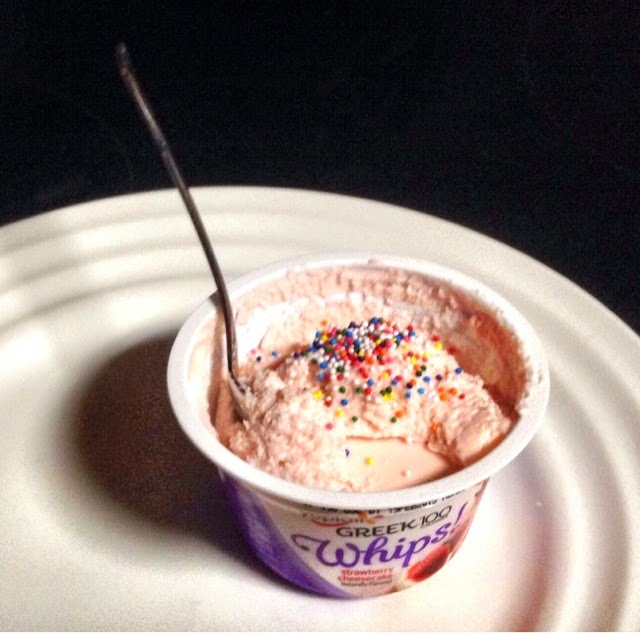 I might add chocolate syrup to the vanilla cupcake Yoplait Greek 100 Whips! Yoplait Greek 100 Whips! is a light and fluffy yogurt experience like no other. Whether you need a quick breakfast, a low-cal snack, or a healthy dessert, you can find more ideas to whip up dessert on the Yoplait Greek 100 Whips! recipe page. Visit the Yoplait Greek 100 Whips! 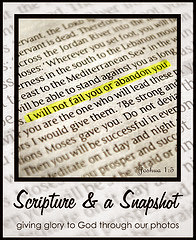 Coupon Page--The coupon will be automatically "clipped" once you visit this page. You can print the coupon by selecting the red "Print Coupon" button in the top right of the page. Disclosure - This article is sponsored by Yoplait Greek 100 Whips! I love yoplait! The cupcake flavor looks delicious! Wow- these flavors sound delicious! 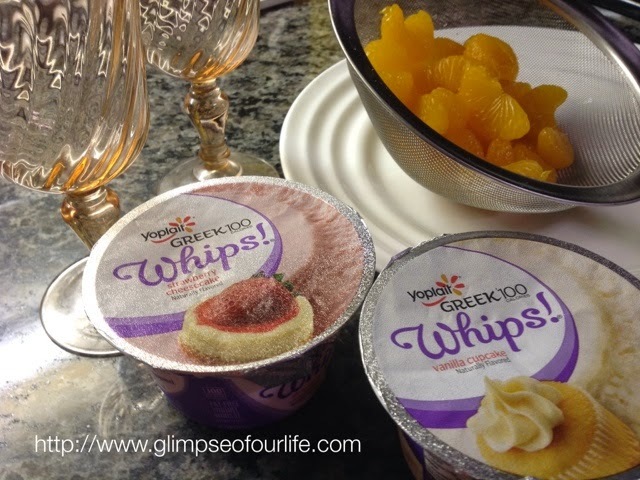 I love Greek Yogurt and I love Yoplait Whips, so this combination is absolutely perfect!! I am going to try to pick these up next time I go shopping! They are delicious! I still haven't tried the lemon flavored one.